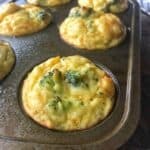 Mashed potatoes are loaded with cheese and broccoli then baked into delicious mashed potato bites that have kids happily eating their vegetables for dinner! THIS POST IS SPONSORED BY PRODUCE FOR KIDS. ALL OPINIONS ARE MY OWN. I married into an Irish family. Not many were more proud of their Irish heritage than my mother-in-law. She was a huge fan of all that is Irish, from being an active member of the local Irish club to attending a monthly Irish dancing lesson. Every St. Patricks day the whole family would attend an Irish Mass followed by a brunch she helped organize. There are 6 children in my husbands family, then spouses and grandchildren. We had a group of 25 in attendance supporting her every year. During the brunch, there was Irish singing, dancing, and lots of Irish foods served. It was a memorable way to celebrate St. Patricks day to say the least. My mother-in-law is no longer with us, and how I miss her and our “Irish Grandma”. As a way to continue her love of the Irish, every St. Patty’s day I try to make the day fun for my kids. This year these Cheesy Mashed Potato Bites will be on the menu. They fit for a few reasons. #1. They have a hint of green – the celebratory color of St. Patty’s day, and #2. What’s more Irish than potatoes? After a little research into why potatoes are thought of when we think of the Irish, I found potatoes were a food in rural Ireland people could grow on their own. Long ago, the only food sources in these rural locations were those foods that could be raised on the land and potatoes were easy to grow, even in poor soil conditions. Potatoes also happen to be versatile and easy to prepare. Potatoes met many of the nutritional needs of the Irish people. They are a nutritional powerhouse containing nutrients including B6, potassium, vitamin C, copper, and manganese, not to mention they are a good source of fiber. All these facts explain why potatoes are one of the most grown crops in the world. I have to agree with how versatile potatoes are, they are a staple at my house. 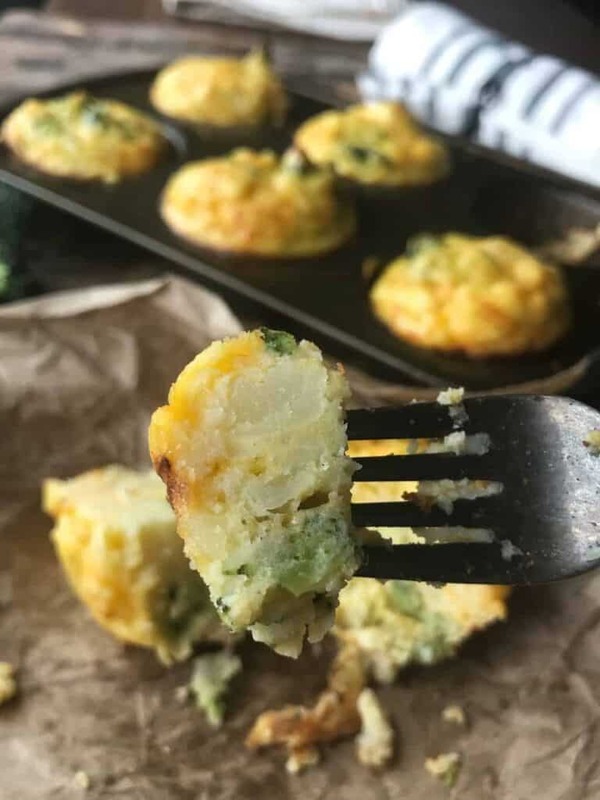 Cheesy Mashed Potato Bites are a great leftover mashed potatoes recipe idea. Combine leftover mashed potatoes with eggs and cheese. Gently stir in steamed broccoli. Bake 400° F for 20 minutes. The perfect leftover mashed potatoes recipe idea: Cheesy Mashed Potato Bites. This recipe uses leftover mashed potatoes, cheese, eggs, and broccoli for a delicious side dish. Add ham or sausage and you have a complete dinner meal. In a medium-sized bowl, combine mashed potatoes, eggs, and cheese. Gently stir in steamed broccoli.To steam broccoli, place in a microwave-safe bowl. Add 2-3 tablespoons water, cover. Microwave for 2-3 minutes, or until softened and bright green. Depending on seasoning of mashed potatoes, add salt and pepper if needed. Divide mixture into 6 muffin tins for large bites, or 12 for smaller potato bites. Use mini muffin tin if desired. Bake 400°F for 20 minutes. Check Out More Recipes with Potatoes Below! My kids loved these! What a delicious way to use leftover mashed potatoes.